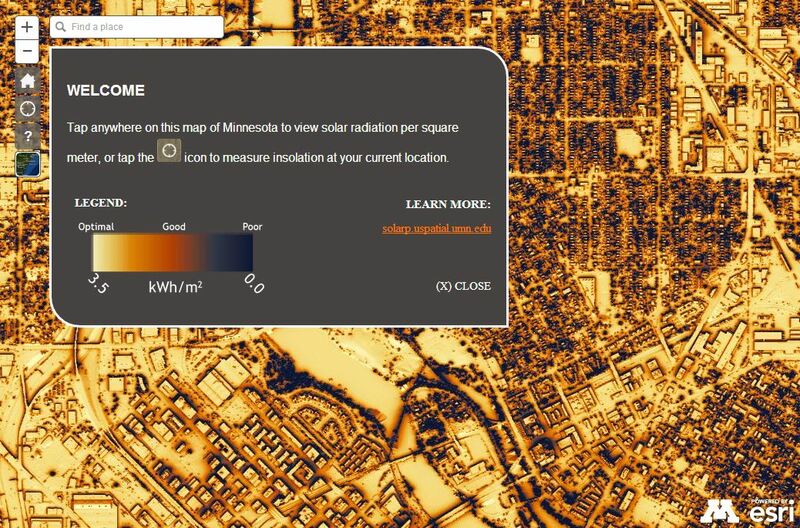 The Minnesota Solar Suitability Analysis is an ongoing project led by graduate students in the Masters of Geographic Information Science program at the University of Minnesota. The project aims to map solar potential on a large scale across Minnesota using Lidar data and GIS technology with the goal of providing free and open source tools and data to the GIS community. "Solar is Minnesota’s single largest energy resource."